A teaser for Titanfall 2 was posted ahead of E3 2016 via the game’s official Twitter account. If for some reason the embedded clip above doesn’t work for you, the tweet can be found through here. EA hasn’t provided a release date for Titanfall 2 just yet, but it could be releasing within three weeks of Battlefield 1. There are also imaged of two Collector’s Editions below (thanks, Evil Avatar) from Rvckvs, a company which develops custom products for consumers, and has worked with various video game properties in the past. It’s being debated at present whether they are fake or not, but you can decide for yourself. 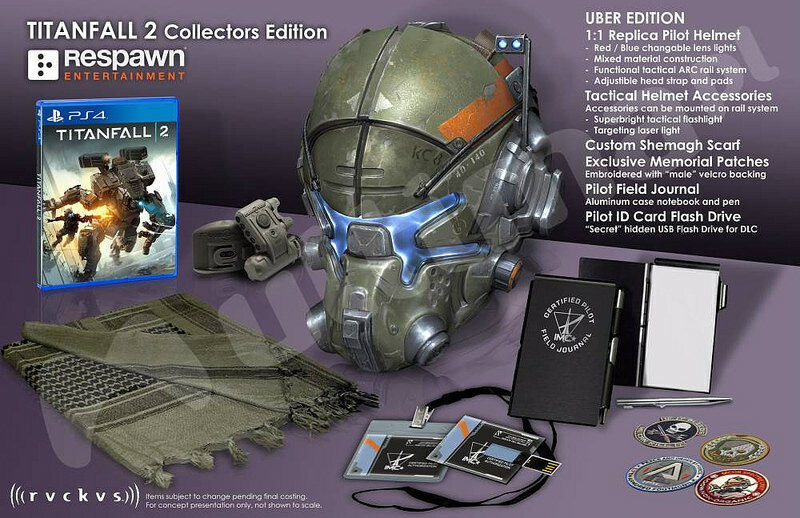 The Uber CE versions show below comes with the game, a 1:1 replica pilot helmet, various other accessories, a scarf and more. 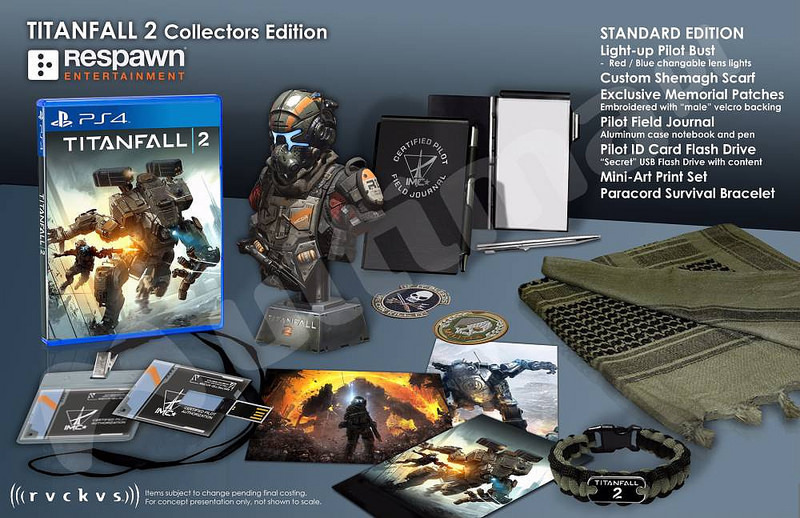 The standard CE shown comes with the game, a light-up bust, the same scarf, patches, a flash drive and more. EA will host its press conference the Sunday before E3 2016, June 12, at 1pm PST/4pm EST/9pm BST/10pm CET, so we will know more about the game and the Collectors Editions at that time. If you miss it, a full report will be posted on the site after the presser ends.